BEAUTIFULLY MAINTAINED SPACIOUS TOWNHOME STYLE CONDO! One owner condo and it shows! Approximately 2,300 finished square feet includes 4 bedrooms, 4 baths & attached 2 car garage! Youll love the open layout, the full walls of windows, new carpet lower level, new water heater, granite and newer tile floors in all bathrooms & more! Enjoy the open concept kitchen with ample cabinet space, granite counter top, large seating/serving peninsula & built-in desk. Youll appreciate the large great room with gas fireplace, built-in shelves, media area & surround sound pre-wire. Three bedrooms on the 2nd floor include a luxurious master retreat with private deck, walk-in closet & 5 piece bath! The lower level flex space or bedroom 4 and full bathroom is great for a guest or your teenager! 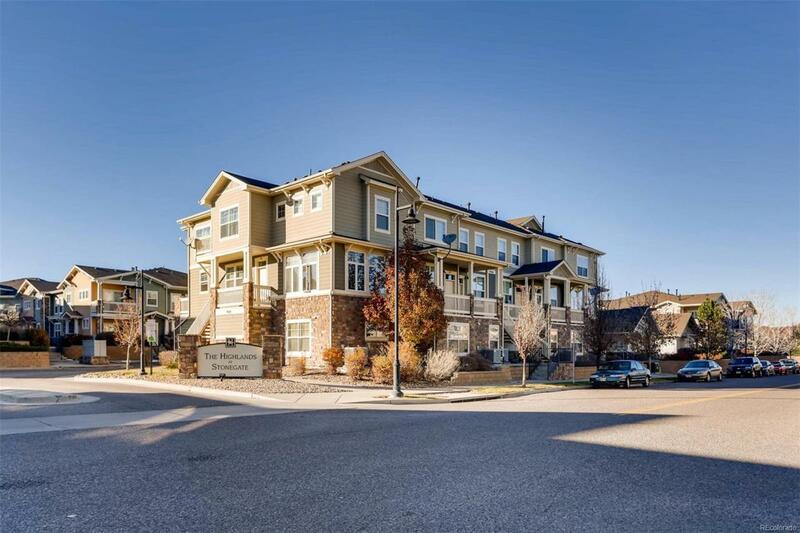 Fabulous Stonegate amenities & location, convenient to DTC, DIA, E470 & I-25. CALL LISTING AGENT WITH ANY QUESTIONS: Cell 720-216-7475.